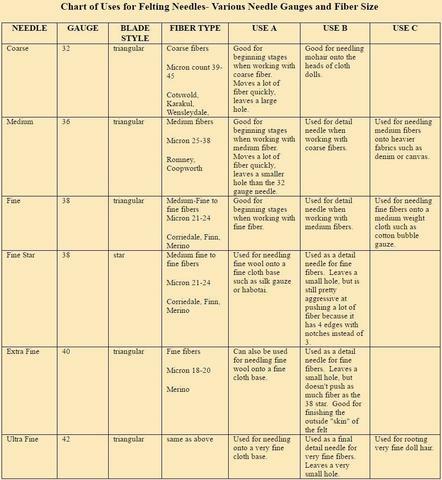 Additionally, here is a very helpful YouTube reviewing the types of Felting Needles, demonstrating their various uses, and mentioning safety when Felting. Not the answer you're looking for? Browse other questions tagged tool-selection felt felting-needles or ask your own question. What medium should be kept beneath the paper for papercutting? What is the best way to apply felt to wood?